Member of the empowered committee of the Supreme Court on Mullaperiyar K. T. Thomas has stated in an interview to Malayala Manorama that the Mullaperiyar dam will stand for another 100 years. This should surprise many. According to experts, the normal life of a well-built concrete dam is about 60 years. None could predict the life span of a composite dam like Mullaperiyar with accuracy. However, there is enough evidence about the weakness of the old structure which actually stands supported by the concrete backup built by Tamil Nadu as part of strengthening measures. The Central Water Commission itself had acknowledged the weakness of the old structure in 1979, and if the backup would support the waters, its life span is only less than 60 years. (The strengthening measures were proposed for keeping the dam in service for 30 years at water levels higher than 136 feet.) Studies by the IIT, Roorkee and IIT Delhi showed that the composite structure could not stand a once in a 100-year flood or earthquake of the magnitude of 6.5 on the Richter scale. Mr. Thomas ignored these findings. In his report, Mr. Thomas says that the capacity of the Idukki reservoir is 75 tmc and water level in the reservoir had never exceeded 54 tmc. Both these averments are wrong. The capacity of the Idukki reservoir is 70.5 tmc at full reservoir level. It can reach 74.4 tmc at maximum water level. However, water would have to be regulated once it reaches full reservoir level. The water level in the reservoir had exceeded 70.5 tmc twice and the spillways had been opened. On several occasions, it had crossed 54 tmc. Then, why did Mr. Thomas quote these figures. Is it to substantiate the argument that waters from the Mullaperiyar (11 tmc) would be contained in Idukki reservoir, in case of a failure? Kerala wanted the level to be kept at 136 feet for safety reasons. However, the argument that the dam is unsafe had been rejected by the Committee. So, it may be better for Kerala to change the demand for new dam as neither the Centre nor Tamil Nadu are going to agree to that given the findings of the Committee. So, it should call for phased decommissioning of the dam on the basis of continuous evaluation of the condition of the dam by a competent body like the Dam Safety Commission. (A tunnel at a lower level as proposed by Mr. Thomas could aid this by allowing Tamil Nadu to draw water at current levels for years). Kerala should also press for its lower riparian rights and a good share of its own waters which had been denied to it through an agreement between a weak princely State and a colonial power. 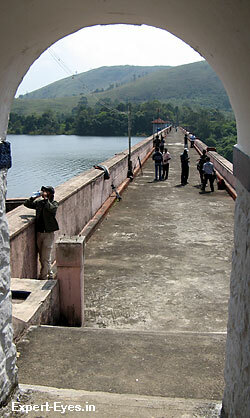 This entry was posted in Kerala, Water and tagged dam safety, Mullaperiyar, Tamil Nadu by Roy Mathew. Bookmark the permalink.